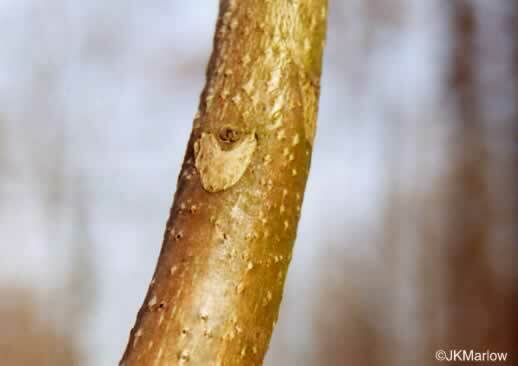 Your search found 4 image(s) of leaf scars of Sumac and Tree-of-heaven. Lateral buds partly surrounded by the large, shield-shaped leaf scar, per Woody Plants of Kentucky and Tennessee. 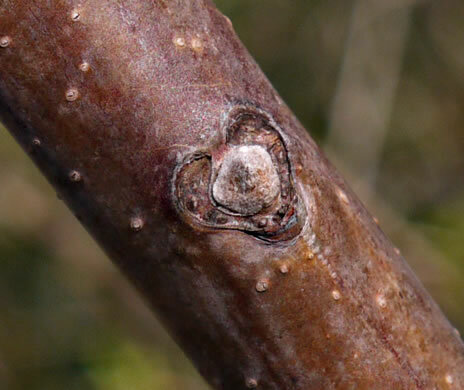 The leaf scar is heart-shaped, per Winter Tree Finder. 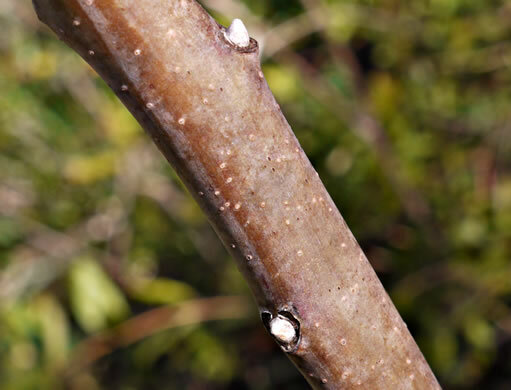 Twigs are more than 1cm thick and glabrous, per Woody Plants of Kentucky and Tennessee. 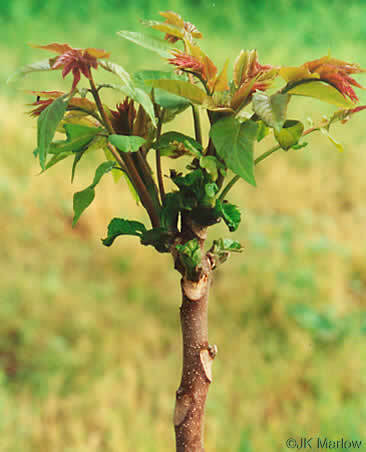 Leaf scars nearly encircle the buds, per Woody Plants of Kentucky and Tennessee.